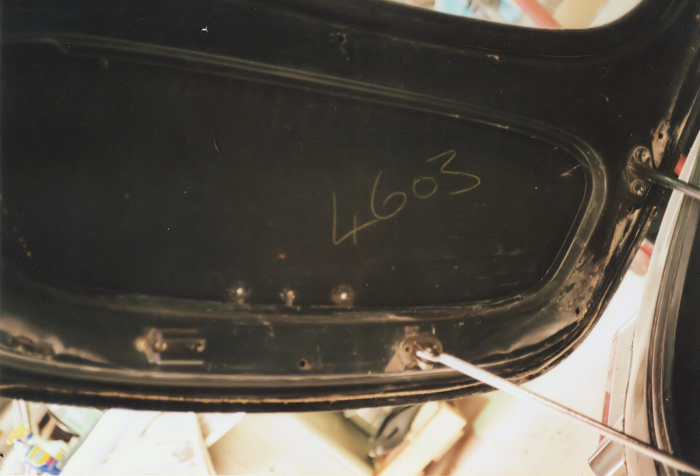 Original factory number located on the inside skin of the rear hatch. 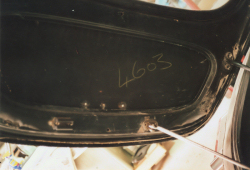 We will not paint this inside panel as to preserve the written number. 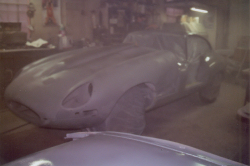 We were able to get an exact color match from this original factory paint. 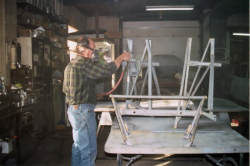 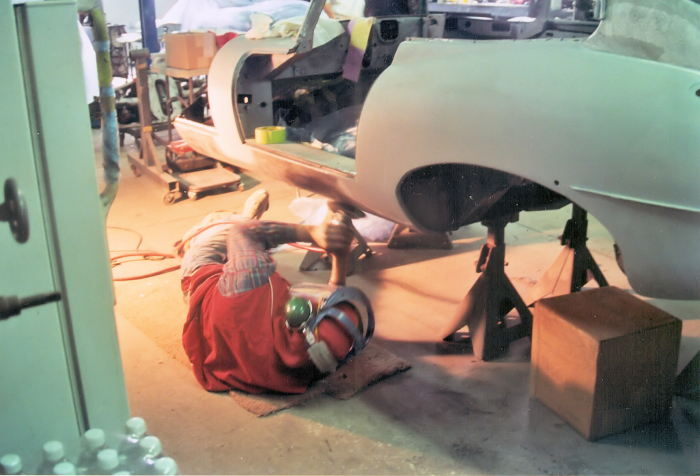 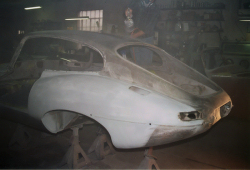 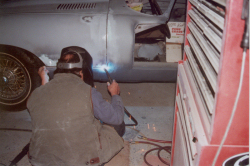 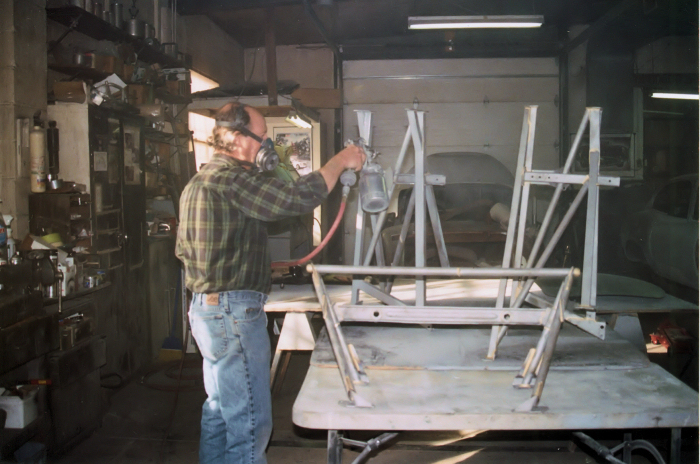 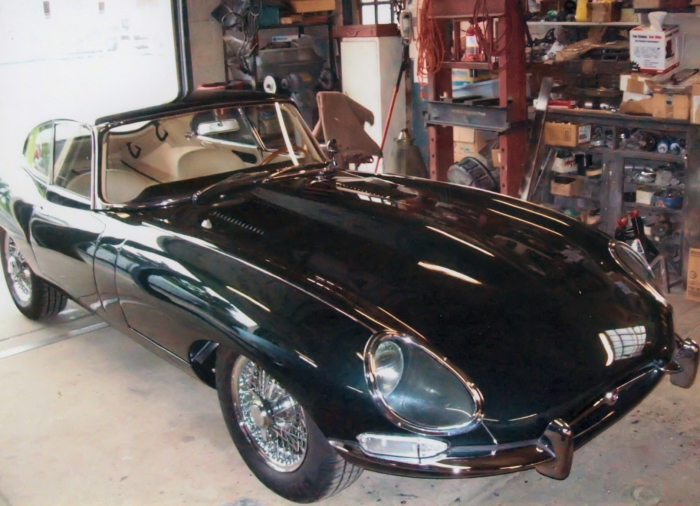 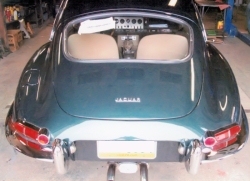 Terry repairing the bonnet Firewall and frames painted in original green color. 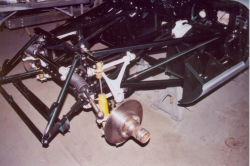 Front suspension installed. 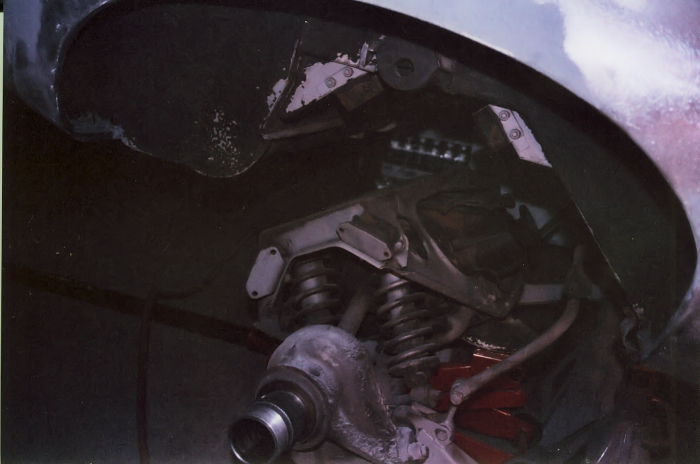 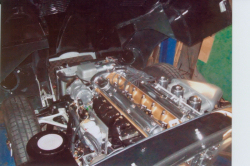 Engine installed. 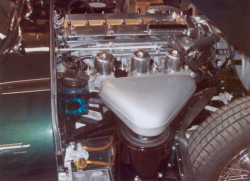 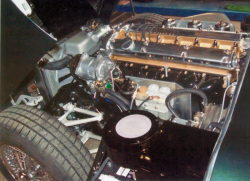 Engine installed with new, custom air conditioning system visible. Custom AC compressor with tiny (but powerful) alternator tucked beneath it on it's own custom bracket. 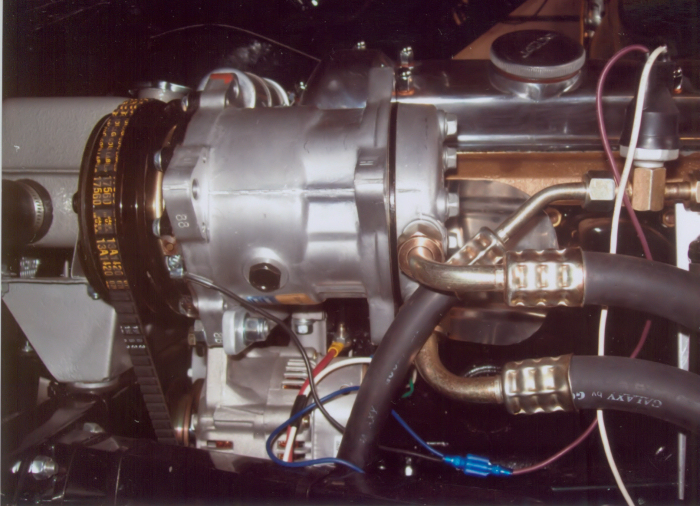 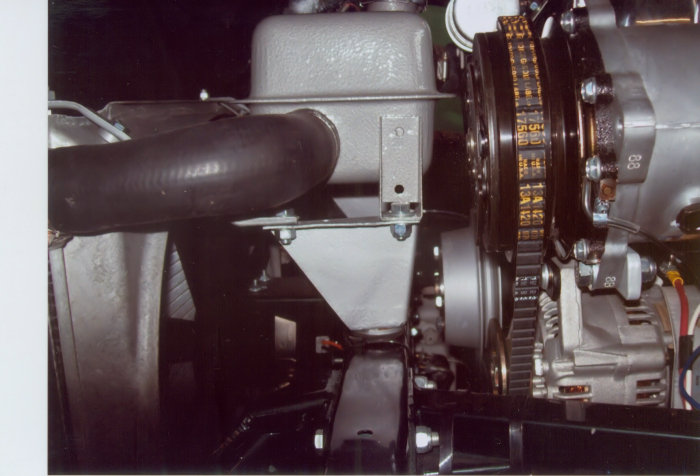 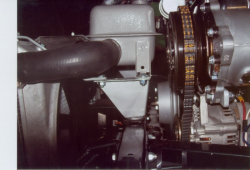 Another view of the AC compressor and alternator setup. AC vents with custom radio console. 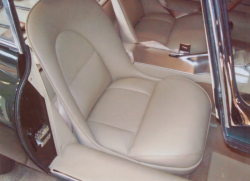 New leather seats. 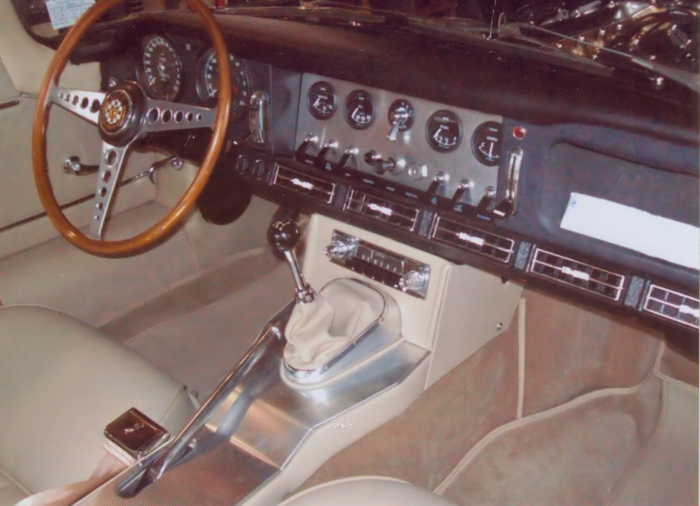 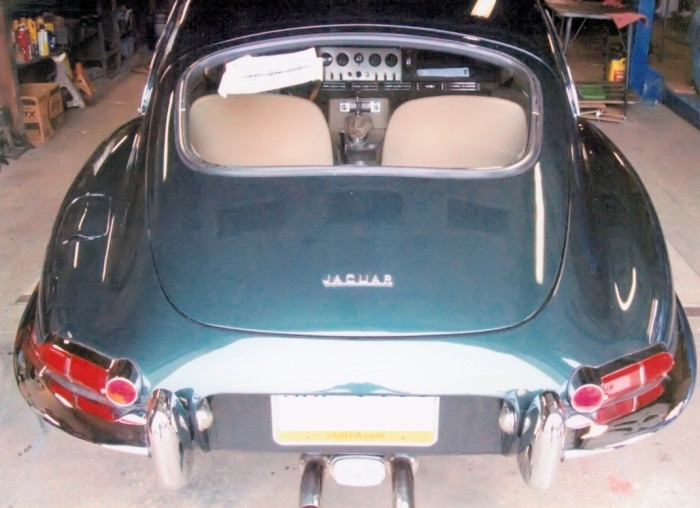 Like the exterior, the entire interior is done in the original color. Ready for pickup. 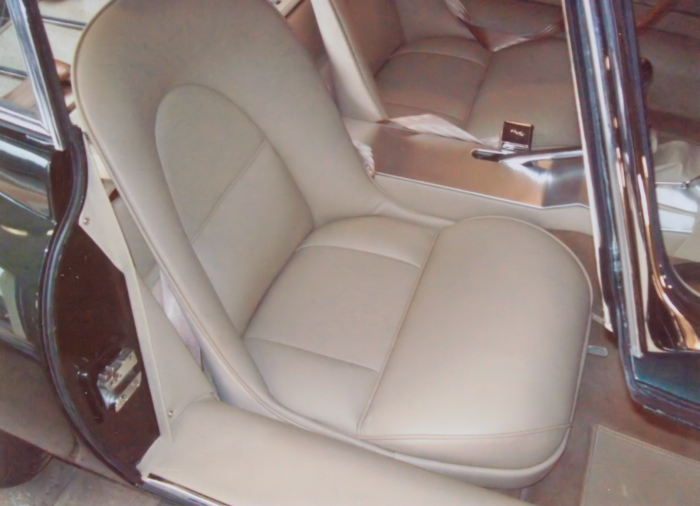 Ready for pickup.